While Thebeerchaser typically does not review bars that are directly connected with a restaurant, which means most of the McMenamen brothers’ lairs, there have been a few exceptions. 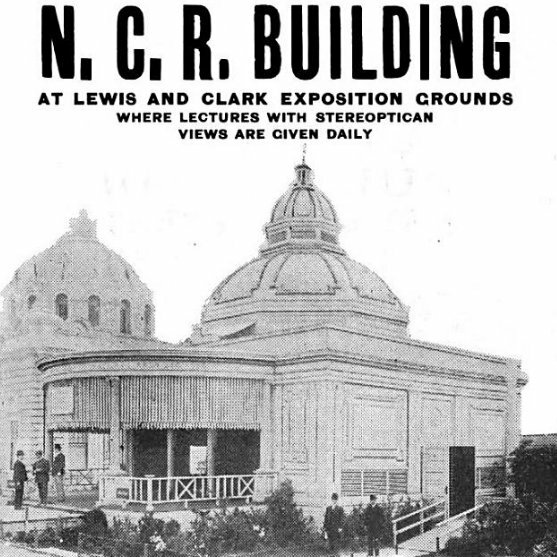 The White Eagle Saloon (see link to post in November, 2012) was of such historical significance that it made an interesting post. 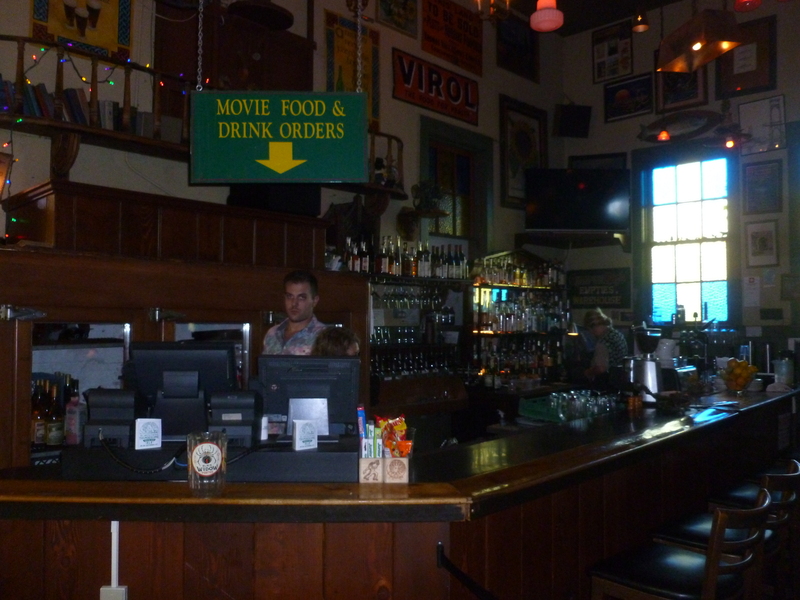 The Buffalo Gap Saloon (see post in December, 2012 ) although not a McMenamin’s establishment, also has a very captivating story. 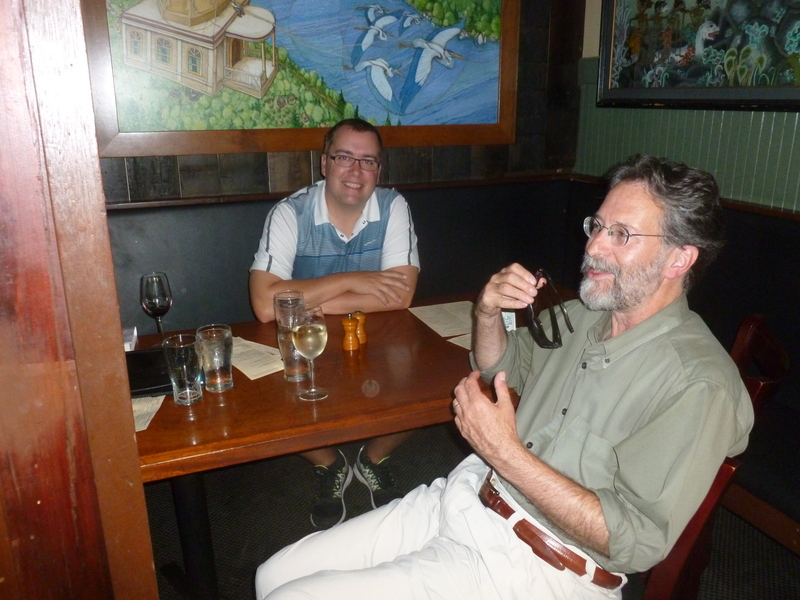 I recently visited the St. John’s Theater and Pub with two former Beerchasers of-the-Quarter – Northwest author, Brian Doyle and University of Portland Business Professor and noted micro craft consultant, Dr. Sam Holloway. 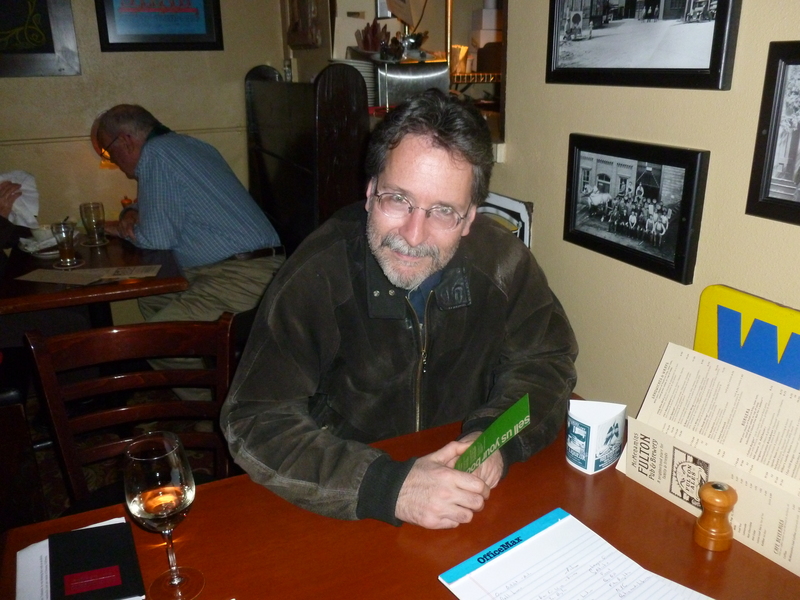 Brian is also the editor of the award-winning UP Magazine, Portland, and since both were on campus, the St. John’s is nearby, has a good line-up of beers and a rich history to check out. I admire and respect what the McMenamins have done for the Oregon economy, historic preservation and beer in general since 1983, but going to their restaurants can often be kind of like going to the dentist – a nice receptionist or hostess gives a friendly greeting followed by what too often is a long wait and then either mouthwash or beer depending on which of the aforementioned venues you visited on that trip – you know the drill…..so to speak. Although one guy named, Aaron, a California resident and whose choice of fine eateries thoughout the globe is somewhat questionable, raved on Yelp in February, 2014, “Literally one of my 5 favorite restaurants in the world.” Really Aaron!!? Have you ever been to San Francisco?? One of the five best in the word!!???? That said, both the tater tots and their beer generally get very good marks and we were at St. John’s that day just to drink and converse rather than eat. And I have learned that any bar or tavern experience can be enhanced by your companions, which was the case that day. So before I talk some more about St. John’s, let’s find out a little more about Brian and Sam. They are both very smart and gifted individuals and we have a lot in common – they both have written books and I have read books. 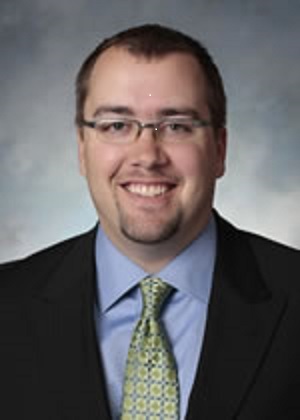 The book Sam co-authored was entitled, Organizational Learning and Knowledge Management. Volume I: Managing Learning and Knowledge, and besides his extensive work on business model innovation, he has published numerous articles and spoken at many forums on the business of breweries. 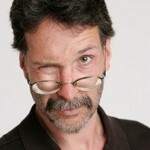 While I typically read escapist trash novels, Brian Doyle’s books have become a staple although they are more cerebral than most – quotes from English philosopher and poet, William Blake, detailed character development and meticulous descriptions of the Northwest environment that Brian loves. ……(It) sells every single possible small important thing you could ever imagine you would ever need, if you lived on the mountain…..you can buy string of every conceivable strength and fiber. You can buy traps. You can buy arrows. You can buy milk and cookies. You can buy tire irons and shoehorns. You can buy false teeth and denture glue. A “joyous, rollicking style” and a taste for good wine….. I got there early and was downing an outstanding Ruby Red, (“an ale light, crisp and refreshingly fruity…..processed raspberry puree is used to craft every colorful batch.”)when they arrived from the UP campus. Both Brian and Sam, to my surprise, ordered wine. Brian, possibly after the intense research for his book The Grail (“A year ambling & shambling through an Oregon vineyard in pursuit of the best pinot noir wine in the whole wild world”) – admits that besides McMenamin’s Hammerhead, wine has become his drink of choice. 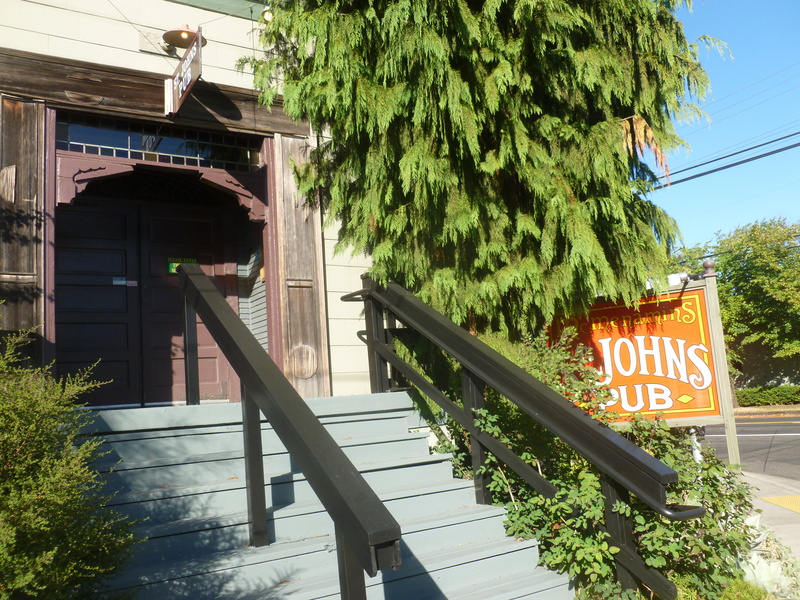 The St. John’s pub is a spacious and comfortable setting with a great outdoor patio and a cozy second-floor balcony. 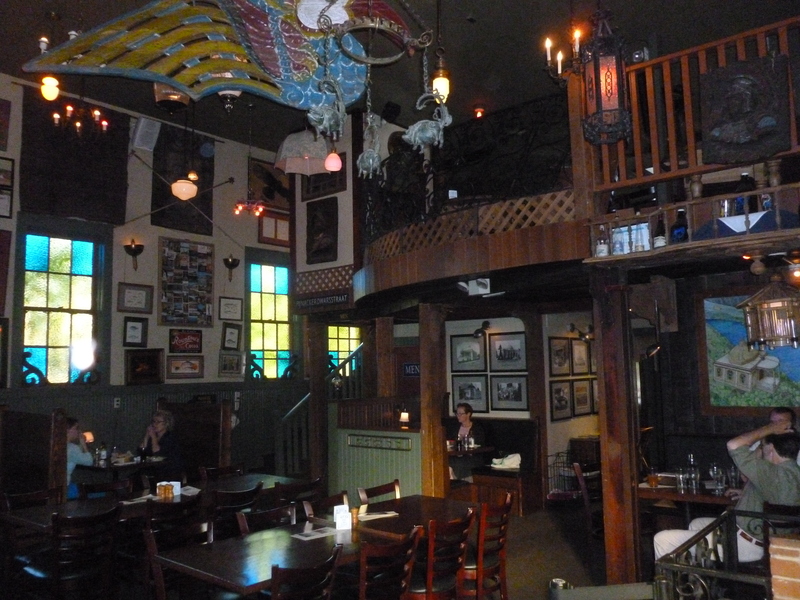 The dark wood interior has interesting knick knacks and art work – typical of most McMenamin watering holes. 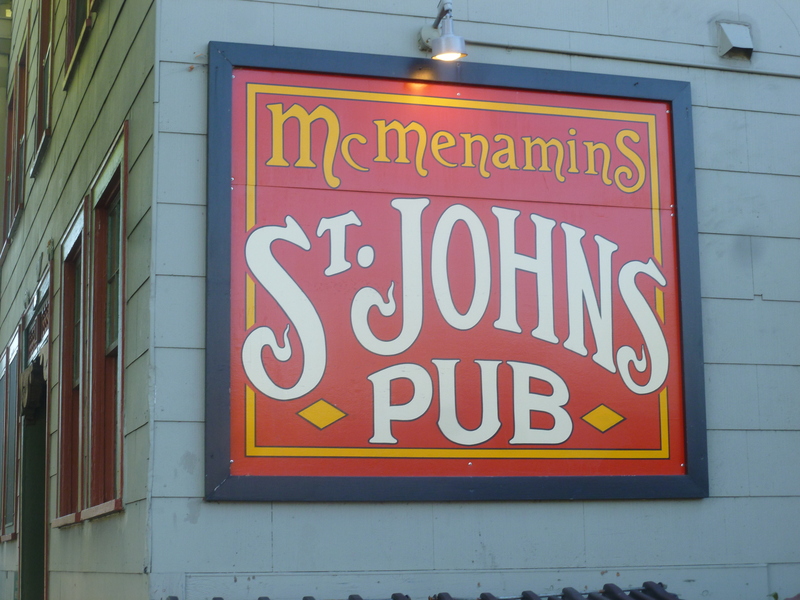 I have often experienced poor service (possibly more accurately described as “slow” because of inadequate staffing) at McMenamins, and maybe it was because we were there at non-peak hour, but our server, Jessica, was friendly, knowledgeable and efficient. 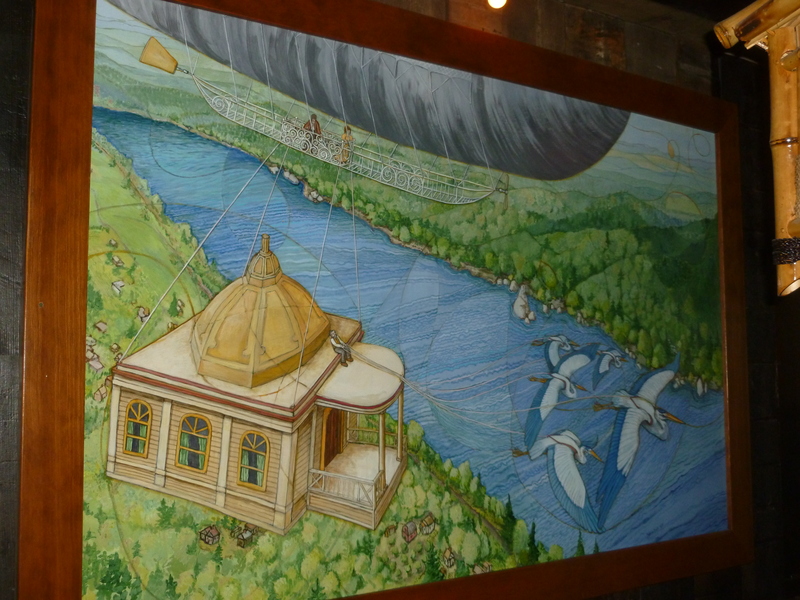 The St. John’s Pub is a very comfortable establishment for a few beers, some reasonable comfort food if you are not in a hurry and some fascinating history for those who have an interest.